Kamczacka Berry (Lonicera caeruleavar.edulis) otherwise Honeysuckle edible, it is a long-lived plant, growing up to 1.5 m in height. 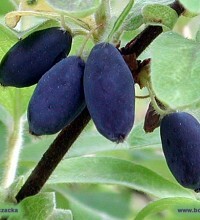 The vegetation begins very early and the fruit can be harvested at the earliest of all cultivated fruit plants in Poland at the beginning of June. 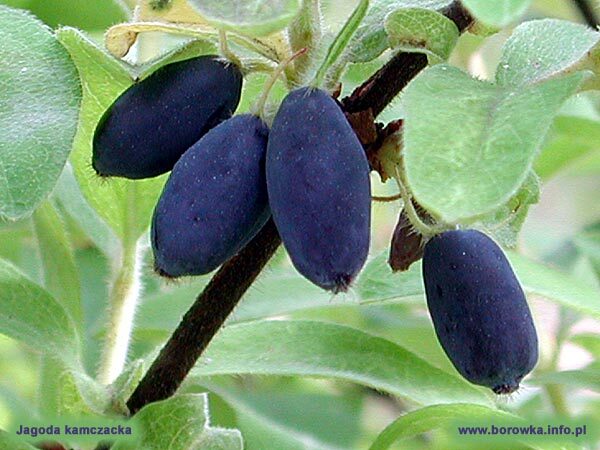 Kamczacka berry is self-pollinating plant, so to have a large fruit you need to plant at least two varieties. Soil requirements are not large, moderately moist soil slightly acidic (pH 5.5-6.0). Shrubs are resistant to drought, frost and spring frosts. Flowers can withstand up to -6 degrees. 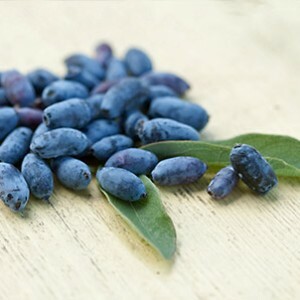 They are also resistant to diseases and pests so you do not need to use pesticides. Seedlings are planted at a spacing 1-1.5 m.
On our farm kamczacka berry is propagated from half – wooden cuttings rooted in a plastic tunnel in July. In May of the following year, the seedlings are transplanted to 1.5 l pots and are ready for planting in place permanently in September.